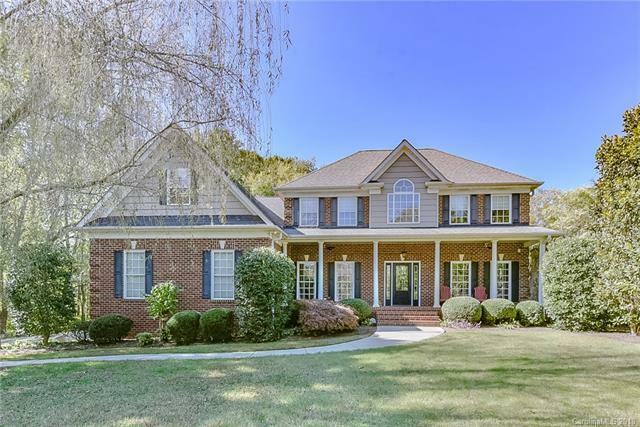 Beautiful 2-story brick home nestled on golf course/Cul-de-sac lot with lots of privacy! MASTER ON MAIN LEVEL w/vaulted ceiling and large walk-in closet & custom shelving. Mater Bath: tile floors, dual vanities, large tile shower, window seat w/drawers & linen closet. Lovely kitchen w/glazed, raised panel cabinets w/rope molding, glass door & "pull out" drawers. SS appliances w/double ovens & gas cooktop. Granite countertops & tile backsplash. HW floors on most of main level. French doors in office/study on main. Upstairs features 3 additional bedrooms and one HUGE Bonus Room or fifth bedroom. Two additional full bathrooms and walk-in closets. Fabulous screened porch overlooks large wooded backyard. Huge laundry room w/sink and cabinets. You will love the 3 Car garage w/ storage room & service door. .66 ACRES!! !